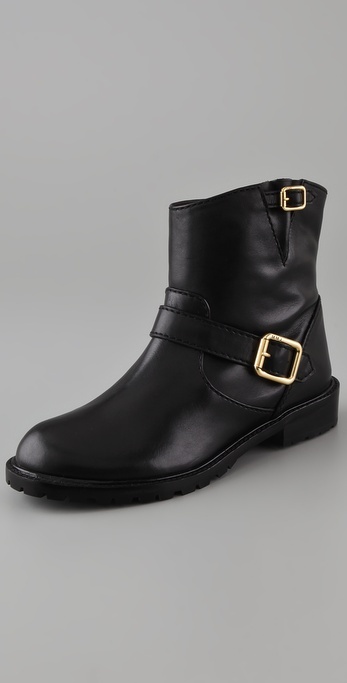 Today's So Shoe Me is the Low Engineer Booties by Marc by Marc Jacobs, $350, available at Shopbop. A versatile flat boot with buttery soft leather, rich gold tone details and an edgy silhouette that can play grungy or sophisticated. 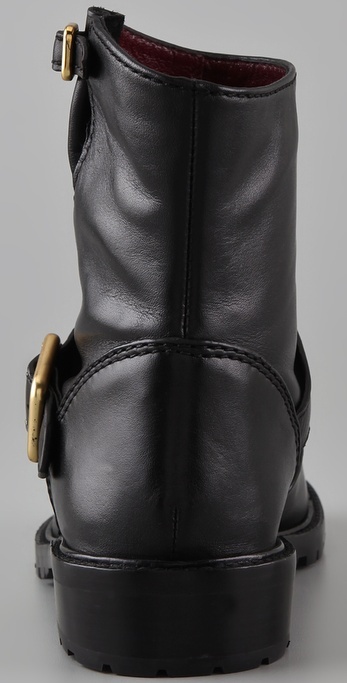 A sleek androgynous shape made with superb craftsmanship and high end materials this Marc by Marc Jacobs boot is a timeless style that will only get better with age -wear and tear will add one-of-a-kind character to this well made classic. Perfect for pairing with modern separates or grunging up flirty feminine dresses this comfortable flat might surprise you with its everyday wearability. Style this boot for summer with some embellished cut offs (I love the brand RUNWAYDREAMZ, available at Singer 22.) and a feminine cream lace tank or top for a juxtaposition of styles that just works. 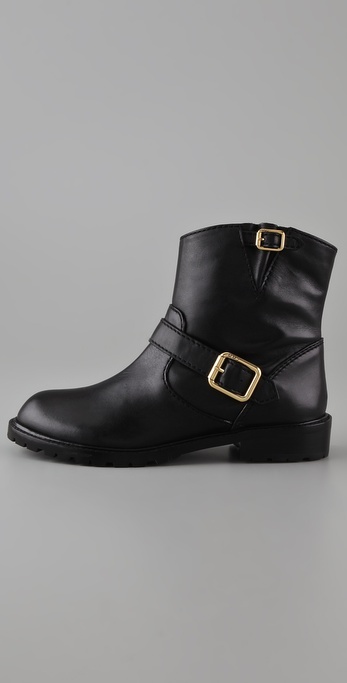 So Shoe Me a pair of versatile flat black boots that offer a simple androgynous shape and edgy finishes in a modern boot that can bring sophistication, grunge or an edge all with an outfit change.